This system was visited for the first time on EDSM by Kevix. 1041 ships passed through Soul Sector EL-Y d7 space, including 3 ships in the last 7 days. 0 ship passed through Soul Sector EL-Y d7 space in the last 24 hours. 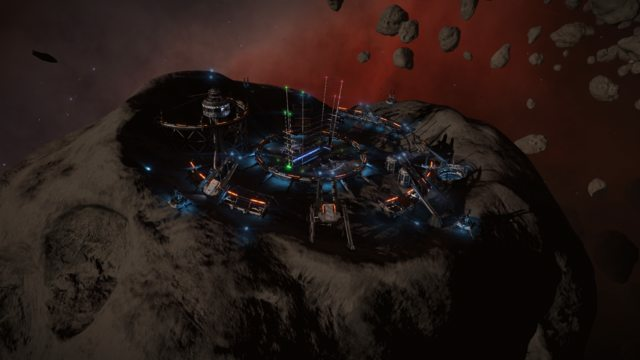 Base Camp was established in the first quarter of 3303 by the Soul Nebula Mining Partners consortium. It is still a very basic facility without extensive dry docks or ship outfitting services. Universal Cartographics maintains a small office here as well as some contractors looking for mission specialists and spacefarers capable of handling passenger transport. 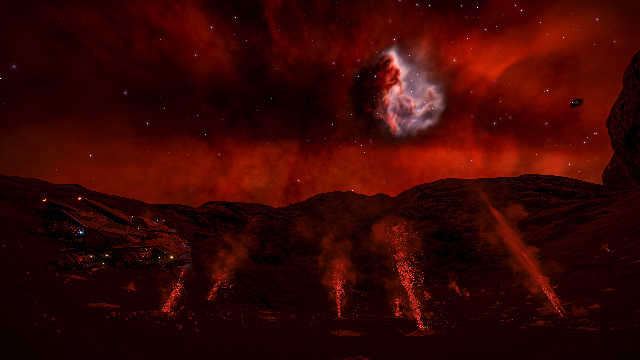 Field of water geysers inside Soul nebula, offering exceptional views when visited at night, when water is coloured by the nebula and if you are lucky enough there will be nearby Heart Nebula overlooking the site.